Bitcoin and other notable cryptocurrencies rose in value on Monday after a brutal week for the nascent market. The world’s best-known and most-valuable digital currency climbed back above the $4,000 mark late Sunday, according to CoinMarketCap data. Its price fell as low as $3,447.58 on Sunday, as investor angst over the cryptocurrency’s plunge worsened. However, later in the day, bitcoin pared its losses, and on Monday was trading 5.54 percent higher to a price of $3,982.80 shortly after 7 a.m. ET. Cryptocurrencies are still well off their record highs though. Bitcoin is down more than 80 percent since it reached an all-time high close to $20,000 in December 2017. XRP and ether, the second and third-largest virtual currencies respectively, are both down roughly 90 percent since their record highs. The market was shaken by a sudden wave of volatility on November 14, when bitcoin suddenly broke below $6,000. Worries had built up around a so-called “hard fork” that led to the creation of two new versions of the bitcoin offshoot cryptocurrency bitcoin cash. Such events tend to occur when there is disagreement in the community about how to scale a cryptocurrency efficiently so that it can cope with a higher volume of trading. Bitcoin’s blockchain, for instance, has been known to grow sluggish in events of high demand, with transaction times taking longer and fees rising. Other notable concerns for investors include the prospect of increased regulatory scrutiny and bitcoin’s falling “hash rate” — essentially the rate at which a bitcoin “miner” solves complex mathematical problems to add a transaction to the underpinning blockchain network. “Bitcoin has been correlated to its hash rate and with it now falling, so is the price,” Charles Hayter, chief executive of digital currency comparison site CryptoCompare, told CNBC via email. Hayter added that some computing power had been “diverted” after the bitcoin cash hard fork. There have also been reports of people dumping huge servers they used to mine cryptocurrency due to the falling prices of virtual currencies. One widely-shared social media post — which could not be independently verified by CNBC — appeared to show someone in China wheeling away cryptocurrency mining rigs from a mining facility. When a miner successfully validates a transaction, they are rewarded in cryptocurrency. 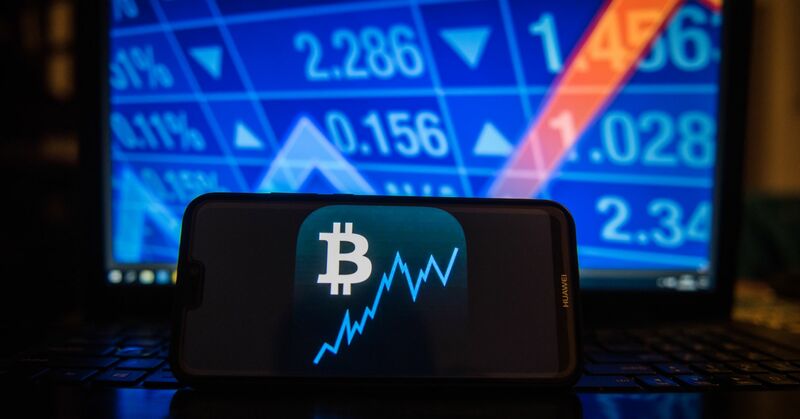 Data compiled by Susquehanna semiconductor analyst Christopher Rolland earlier this month showed that individuals are no longer making a profit from mining cryptocurrency due to the cost of mining rigs clashing with falling cryptocurrency prices.